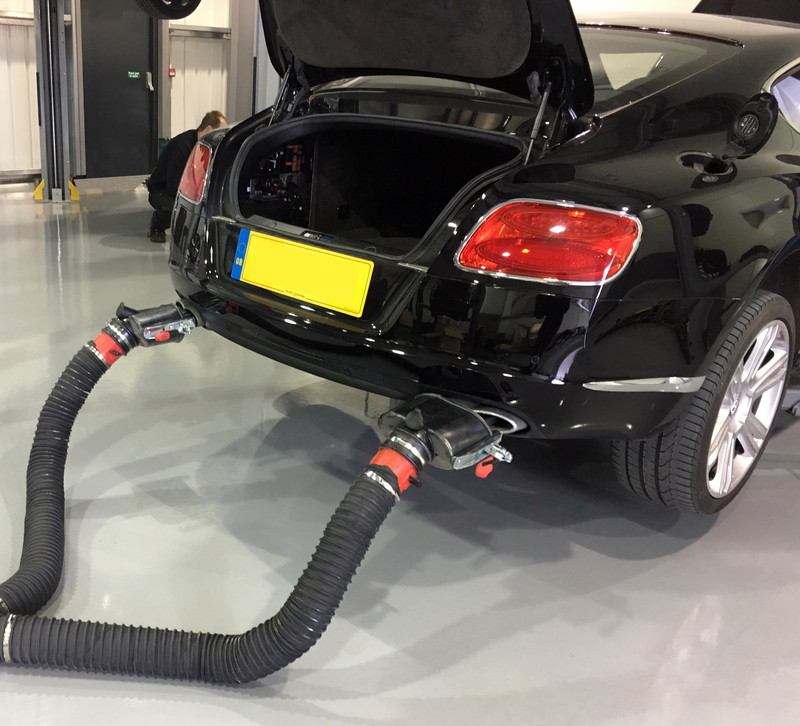 Kent Garage Equipment offers an extensive range of exhaust extraction systems regardless of the size of your workshop. Our dedicated and experienced equipment specialists can design and advise you on the correct size system for your requirements. 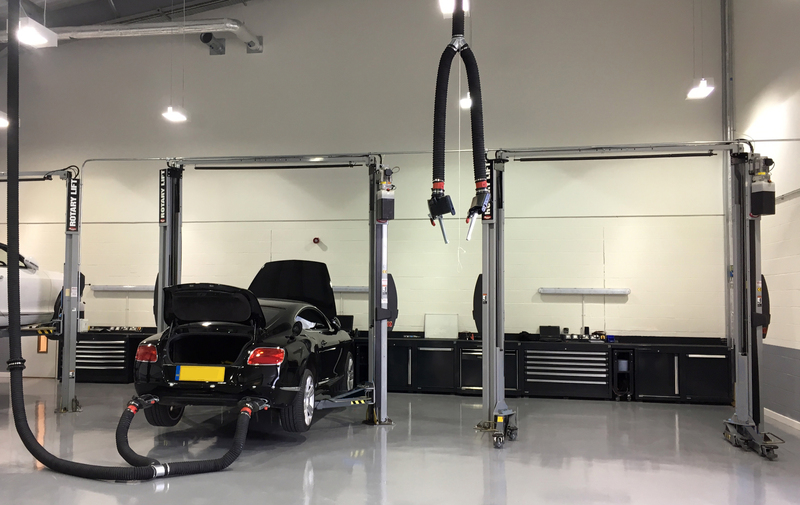 From a single fixed point system for an MOT bay to complete workshop installations and specialist high temperature DYNO bay installations. 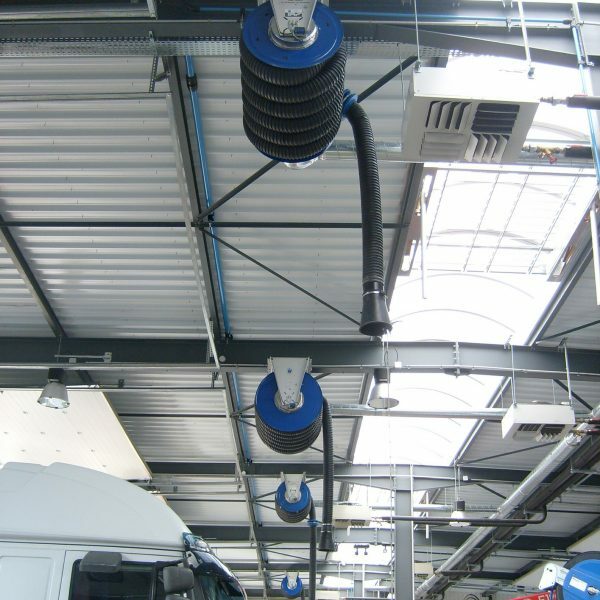 We can offer you both conventional duct work systems to the latest fixed rail systems with retractable reels that can be shared between several work bays. Does your system meet legislation? 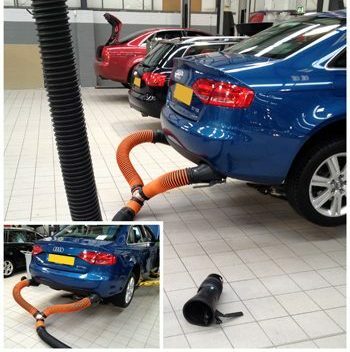 Have you had your system recently tested? Free no obligation site survey and system design. 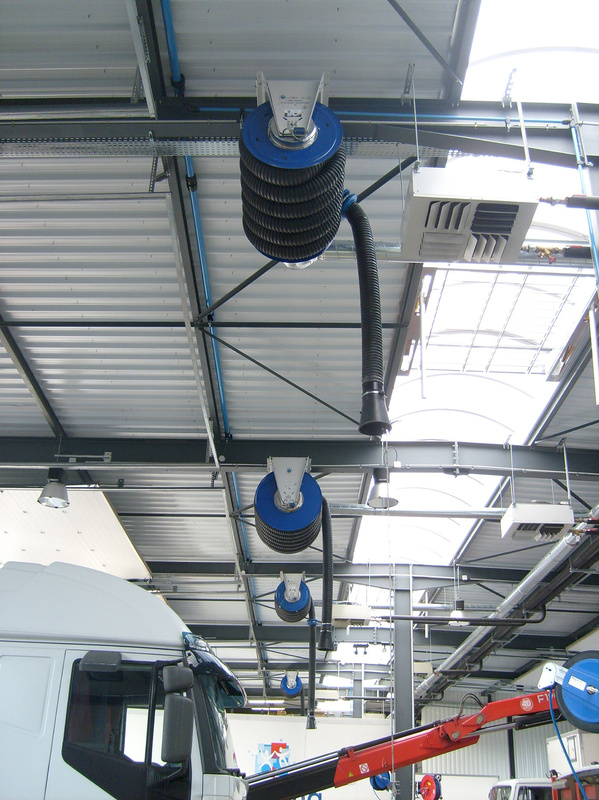 Complete installations by our highly trained service engineers. From the smallest to the largest workshops. After service, maintenance and COSHH testing of your equipment ensuring your systems are running at full capacity. 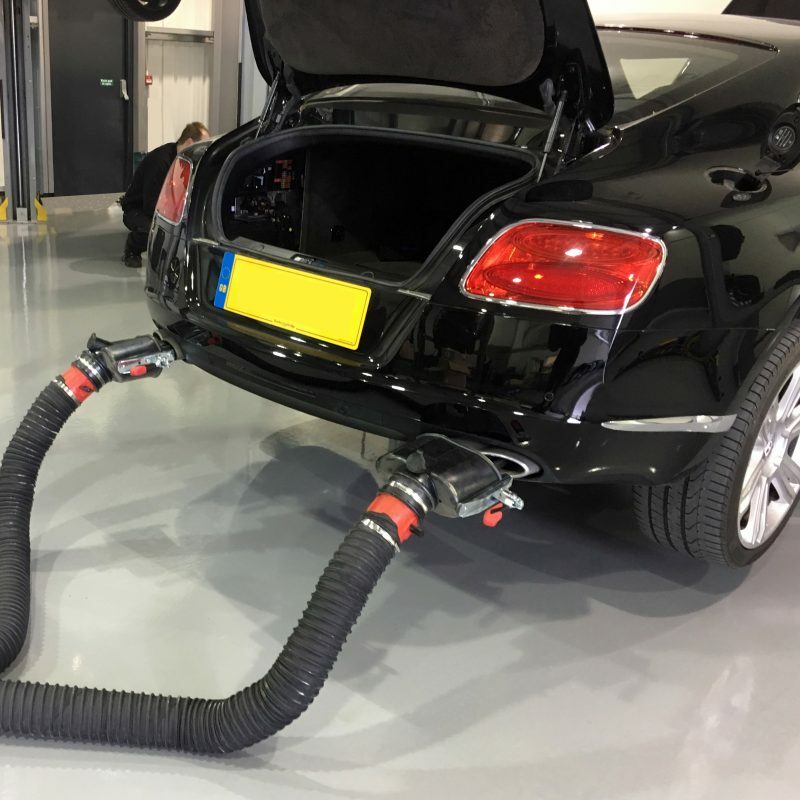 Kent Garage Equipment is able to supply a complete range of dust, fume and exhaust extraction to suit garages, body-shops and industrial workshops. 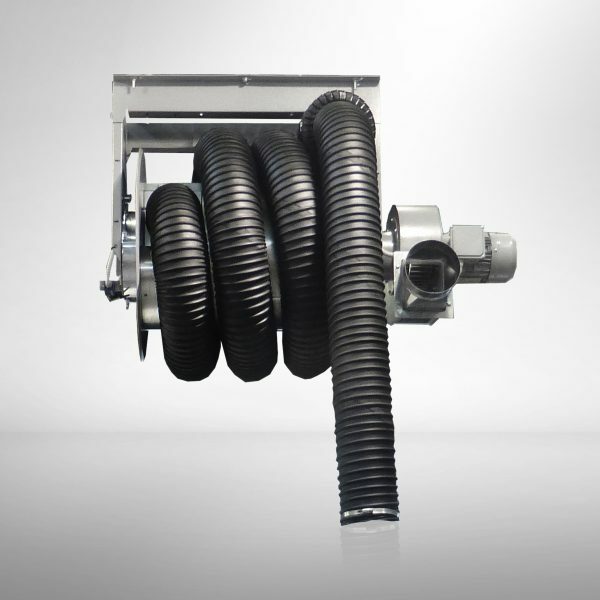 A choice of equipment is available to suit the budget as well as any technical requirement. 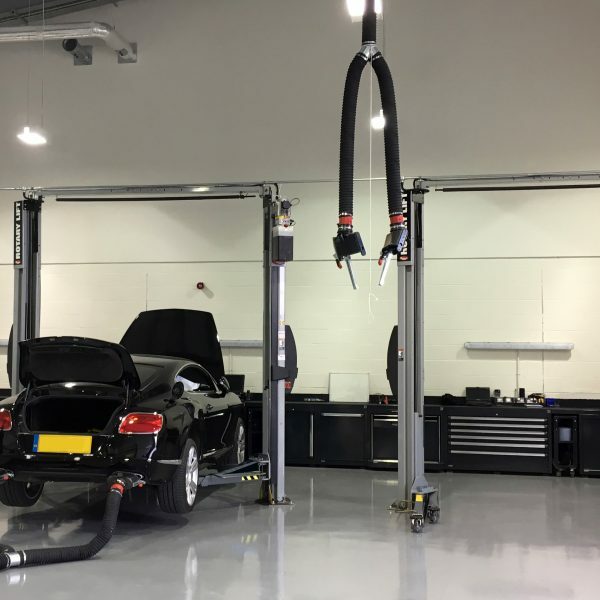 We will be pleased to discuss your requirements, supply a CAD generated layout of your proposed installation and provide you with a full details of the best option for your workshop. We can also provide you with a COSHH assessments for your system throughout its life.